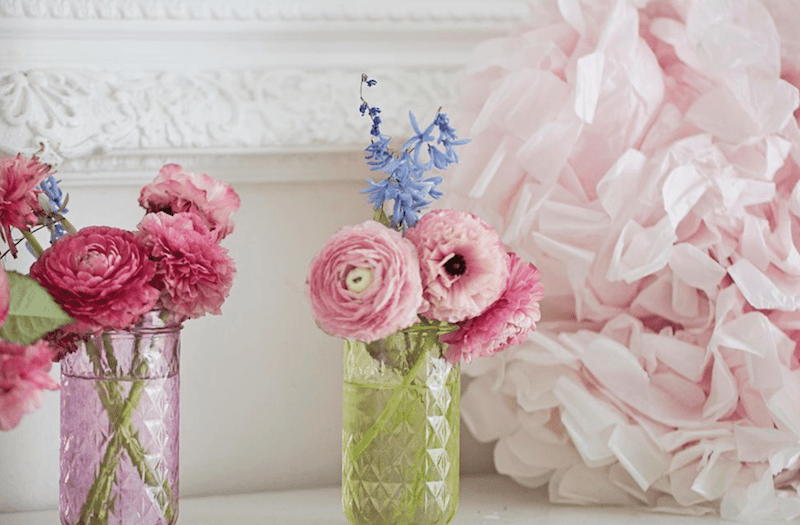 Tissue paper crafts are so much fun to do and in this post I’ll show you how to make tissue paper pom poms. 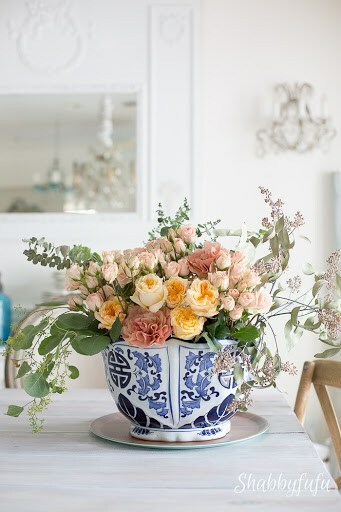 If you are looking for a quick and simple project to make that can deliver huge impact in a room this may be it! Working with paper is something that I’ve long enjoyed doing! 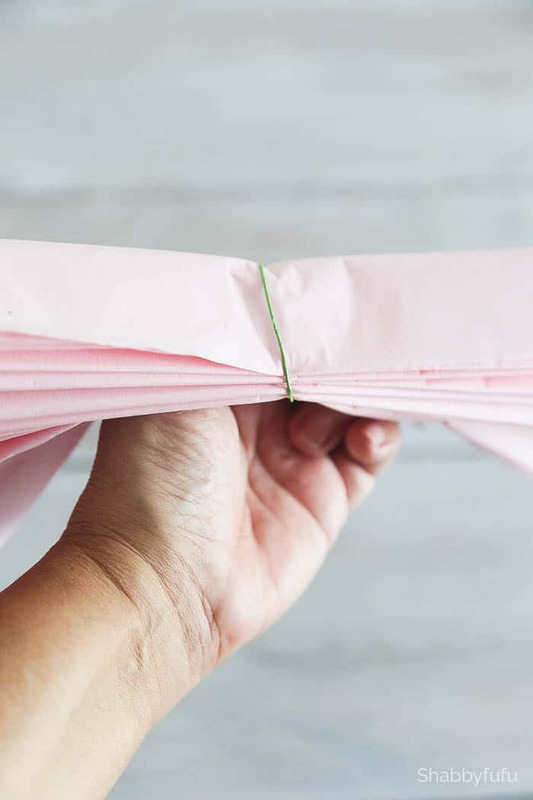 I recently shared THIS POST with you on making another sort of paper flower and so many of you enjoyed it! 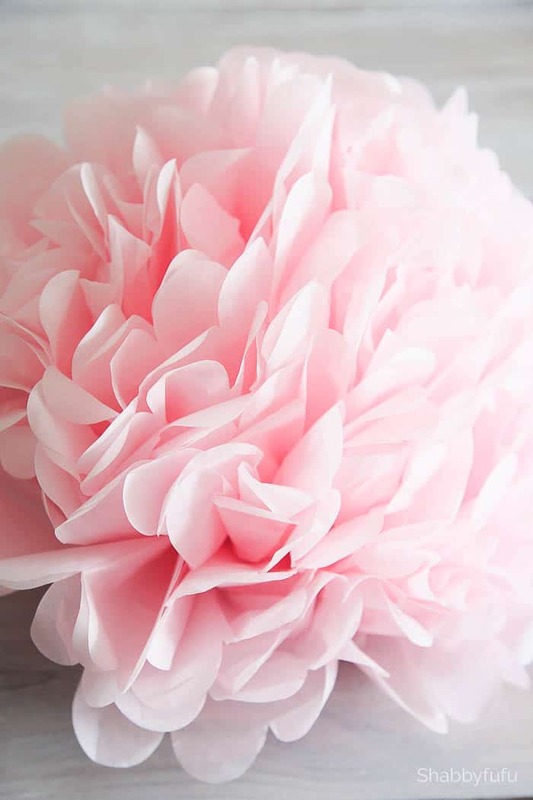 Here is a much faster and easier way to make paper flowers or pom poms. You can purchase paper pom poms like these beauties but I find them almost therapeutic to make. If you have bored children or grandchildren that are stuck indoors, keep supplies on hand like this and it will keep them happy for hours while watching tv! 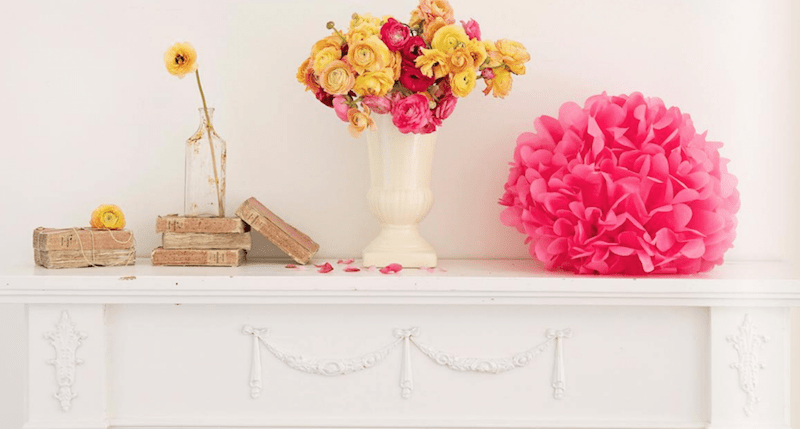 You can do a lot with pom poms and coordinate them to a specific color scheme. You’ve no doubt seen tissue paper pom poms at weddings, bridal and baby showers and in shop windows. Once made they will have floral wire at the end and can be taped to a wall, hung from a ceiling or made into a garland. 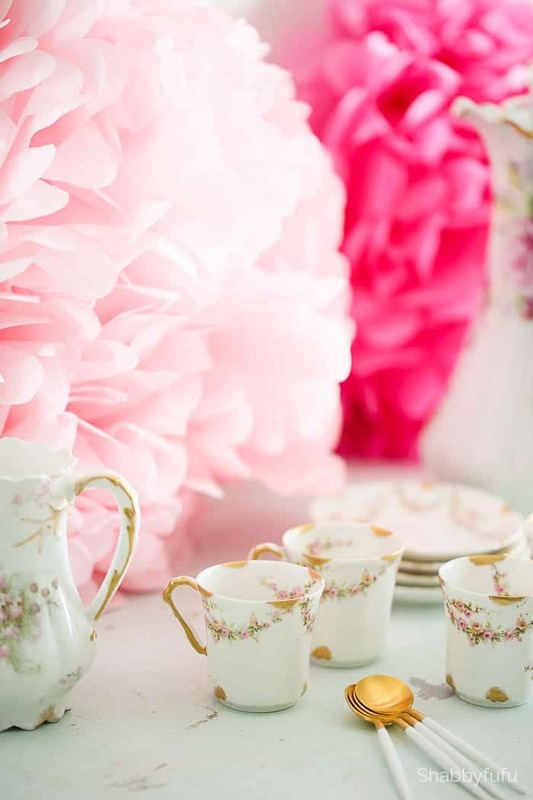 Use your imagination and make these in various colors and with different cuts on the edges to reflect your style. A Video Below For You Very Visual Crafters! 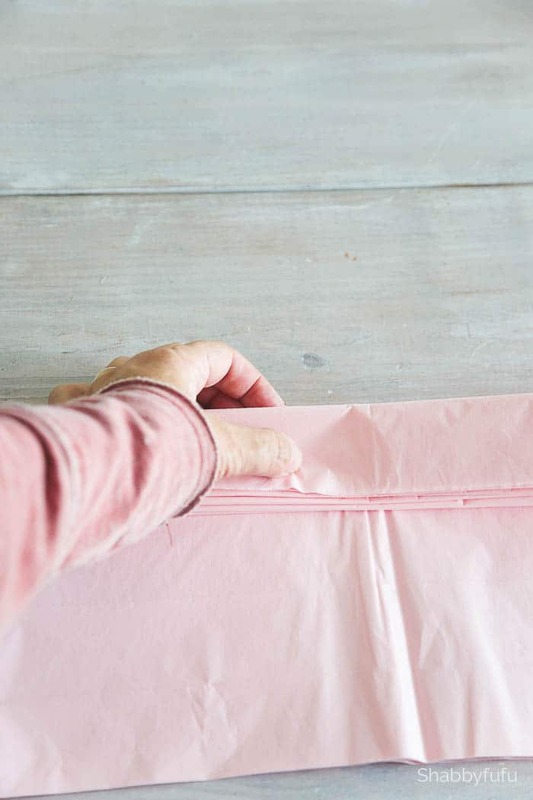 Take 10 to 14 sheets of tissue paper and lay them flat. I have used 20″ x 26″ paper for this project and this nice large size makes for a big full flower or pom. 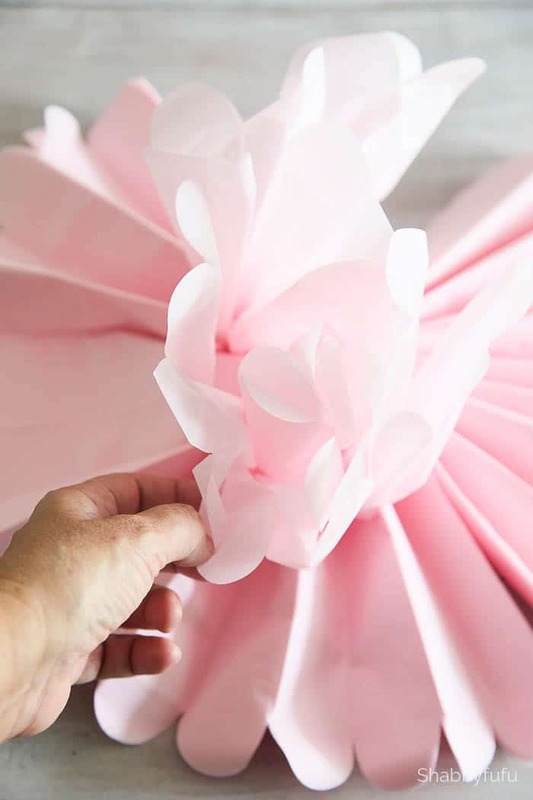 You can cut your tissue paper to be different sizes for each flower to vary look of the flowers. I’ve found that step unnecessary and you won’t notice much difference (so why bother:-). Fold your entire stack accordion style with each section measuring about an inch. Try and make the sections uniform in size. 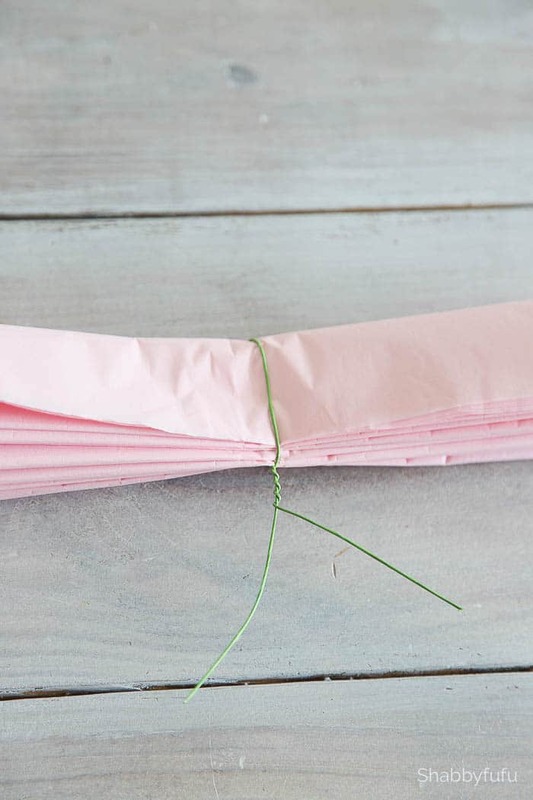 When you’ve finished folding, grab a piece of floral wire and wrap around the center of tissue paper bundle. Twist it several times leaving enough at the end to make a stem. Round off the edges of both sides of your bundle with a pair of scissors. These will be your pretty petals. 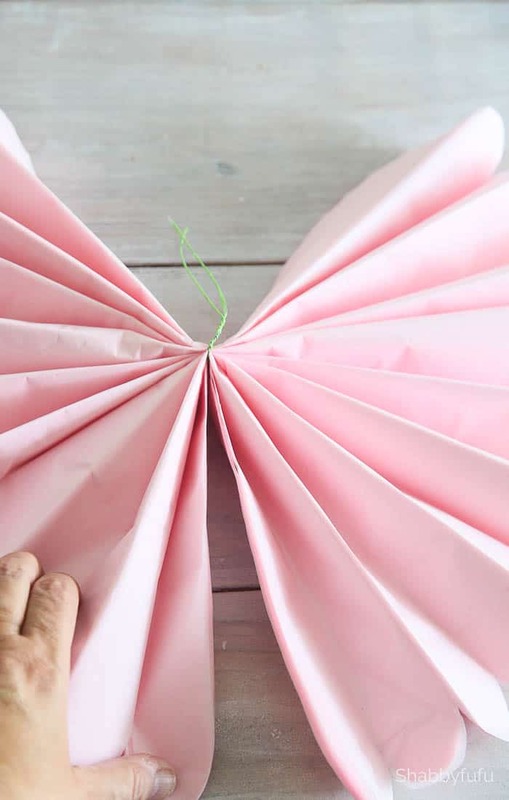 Fan your bundle of tissue paper out and slightly flatten the folds. Starting at one half, GENTLY grab your first inside layer of paper and pull up on it towards the center. Repeat this with each piece of tissue staying on the same end and then head over to the other end. You should then have a full pom pom and just adjust if necessary. My best tip is to treat the paper gently when creating, as it will easily tear. 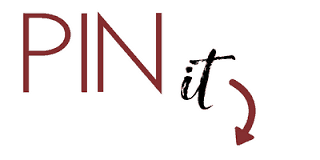 Please subscribe for our exclusive printables with a new page full of them coming your way soon. Isn’t it funny how things always come back around. I helped my sister in 1977, make these paper flowers for the Prom. We put dowl rods inside for stems and made arrangement. Who would guess in 2018 they would be popular again. Very pretty. So true and they can be saved for a long time Cath!